Have you ever noticed how easy it is to view your leadership style as superior to others? If you lead with your gut and make quick decisions, it’s difficult when others take their time. But, on the other hand if you lean towards facts and figures, it’s frustrating when those around you want to move quickly before having all the pertinent information. We sometimes struggle with those with a different leadership style than our own. There’s a good reason for this. 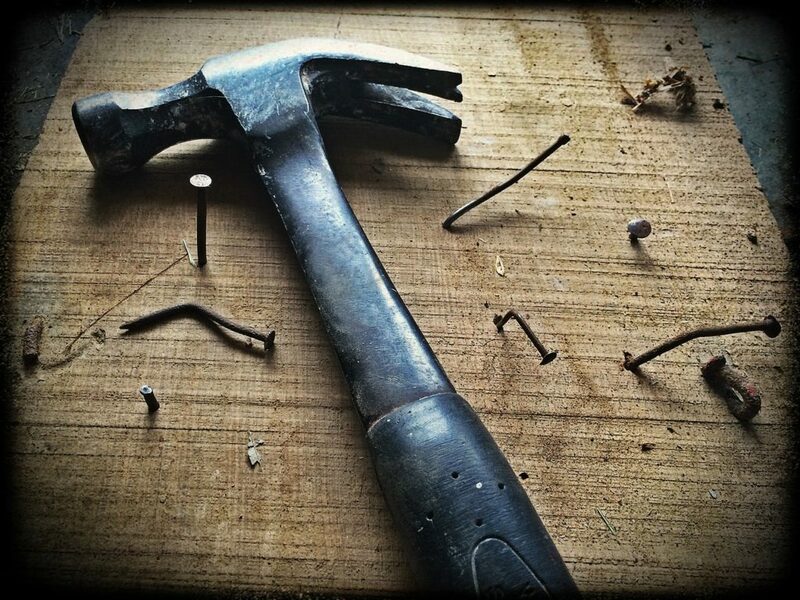 In the 1960’s, famed Psychologist Abraham Maslov saw a pattern of behavior in humans he named the “law of the hammer”. He found that, when given the chance, we have an over-reliance on familiar tools. Maslov said, “I suppose it is tempting, if the only tool you have is a hammer, to treat everything as if it were a nail” (1966, p. 15). This means in any situation we tend to behave in ways that are familiar to us, ways that have worked for us in the past; we tend to walk the easiest and most familiar behavioral path. As a leader, this means you will naturally lead in ways most familiar to you. You will lean on and lead from your greatest strengths. When having hard conversations, you will tend to do what you do best. This might mean drawing a line in the sand, or trying to meet someone halfway. Leaning on and leading from your best strengths is great, but the problem comes when you have an over-reliance on your strengths, while misunderstanding and dismissing the strengths of those around you. If you view yourself as a hammer, you will have a tendency to value hammers over the use of other tools. You could end up questioning the leadership potential of anyone who isn’t a hammer. You don’t trust screwdrivers because they’re not very good at getting the nail in the wood. Or, to give a real example, if you’re a tell it like it is, kind of guy who doesn’t like to sugar-coat the facts then you might look for and try to surround yourself with those just like you. You will naturally be attracted to those kinds of leaders and before you know it most of the leaders in your organization are like that. John Maxwell called this the Law of Magnetism. He explains that leaders tend to attract those like themselves (1998, p. 89). But, building an organization with like-minded leaders could lead to major organizational weaknesses and blind spots. The apostle Paul put it this way, “If the whole body were an eye, where would the sense of hearing be?”(1 Cor. 12:17). Relying too heavily on our personal strengths can become a major leadership and organizational blind spot. In the same way Batman needs Robin and peanut butter needs jelly, you need to surround yourself with leaders with different strengths than your own. This means you first need to better understand your strengths and weaknesses. Once you understand your personal strengths, you’ll better be able to see what your team or organization lacks. If you’re a hammer, then you’ve got the hammer department covered, now you need some screwdrivers, pliers, and wrenches. But, you first better understand what you bring to the table as a leader. This article will help you better uncover and think through your personal blind spots. You can also think through your leadership style here and personality here. There’s a really cool blog post from InitiativeOne looking at 14 different leadership models HERE. In the same way there’s no right way to eat a Reese’s, there’s no right way to lead a team. Whether you consider yourself an authoritative, participative, democratic, or servant leader; your way of leading is not the only or best way. Identifying your strengths will help protect you from idealizing it above others while minimizing what they bring to the table. In The Leadership Challenge, Kouzes and Posner put it this way, “Who are you? This is the first question your constituents want you to answer. Finding that answer is where every leadership journey begins” (2012, p. 43). Figure out who you are and how you lead, then begin consciously encouraging those around you with different strengths from your own. Please feel free to comment and share. Thanks for the feedback!